When Twitter first came out, gaining traffic from it was simple. All you had to do was sign up, and people would naturally follow you because there weren’t millions of other users to choose from. And when you tweeted a link, people would click on it as the concept of tweets was new. But now that people are used to this, gaining traffic from Twitter isn’t as easy as it used to be. Due to this, I decided to create an infographic (with some bonus tips below) that will teach you how to grow your Twitter traffic and engagement by 324%. What type of content is best for Twitter engagement? Have you ever wondered what type of content you should be creating for Twitter? Whether it is blog posts, quotes, memes, there has to be a content type that helps your traffic and branding more than other types of content, right? I actually had the same question, which is why I decided to analyze 1,000 Twitter users and 398,582 tweets to see if I could figure out what type of content gets shared the most. Here’s how each content type stacks up against the rest. 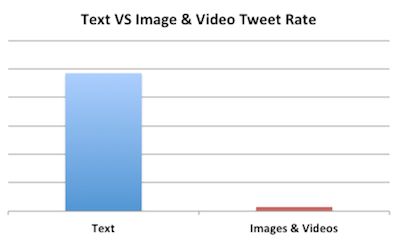 Users on Twitter tweet images 361% more than they tweet videos. Even more interesting is to look at the number of favorites and retweets. 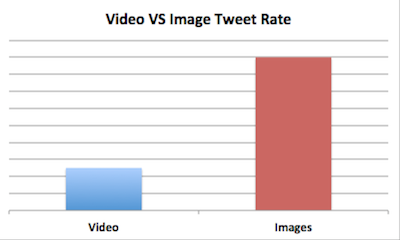 Images tend to get 128% more retweets than videos, but videos get favorited 49% more than images. From a branding standpoint, it’s easier and quicker to make images, so I recommend that you focus your time on image creation over videos. 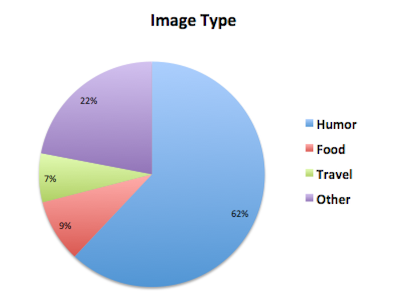 The other thing that I learned when analyzing images is that 62% were humor-based, while 38% were other types. 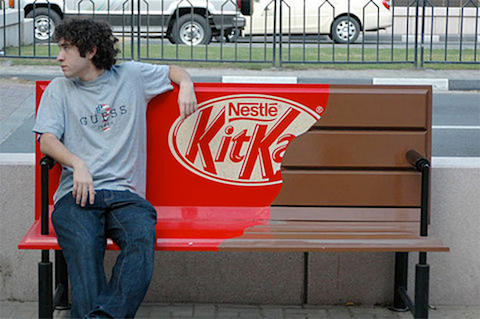 On the flip side, if KitKat just shared an image of someone eating its candy bar, that tweet wouldn’t do well. Who would have thought that text performed better than images? Ninety-three percent of all the tweets we analyzed were text-based. In other words, they didn’t contain any images or videos. What was even more interesting is that 65% of those text-based tweets contained a link. The link part is important because not only does that mean you can drive traffic back to your site, but it also means that tweets with links get retweeted 86% more often. Plus, if you can keep the tweet under 100 characters, you’ll also get 17% more engagement. Although this may seem obvious, the best way to drive traffic to your website is to tweet with a link. When we were diving into the text-based tweets, we found something interesting. We assumed that people loved reading personal tweets such as how someone’s day was going or what that person was eating for dinner. Interestingly enough, those tweets had the least number of favorites or retweets. But what did extremely well from a retweet perspective were tweets that linked to how-to or list-based articles. On average, they received 3 times more retweets than any other type of text-based content. If you want to tweet about something personal, tweet about luxury lifestyle because those tweets did the best. In other words, if you were to tweet about a fancy car, watch, home, or a yacht, you would get more favorites than if you were to tweet about what you ate for dinner. 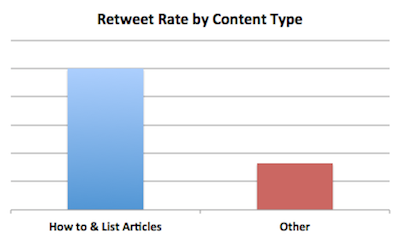 You still won’t get a ton of retweets compared to tweeting a how-to article, but you will get a lot of favorites. When analyzing the tweets, we found that quotes tended to get 847% more retweets than questions. And although that percentage may seem big, it’s not that surprising. What was surprising was that users who tweeted quotes had 43% more followers. On the flip side, questions contained more replies than quotes. In general, questions had 1,050% more replies. So, if you want to create a conversation with your followers, consider asking them a question. 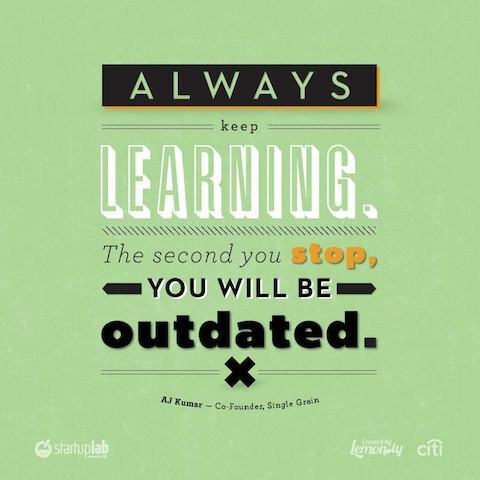 If you want to brand yourself through the use of quotes, you can always create image-based ones like the one below. Through image-based quotes, not only will you get the retweets, but you will also increase the number of people who start seeing your corporate logo. Compared to Facebook, there aren’t as many memes that get passed around on Twitter. And they make up the smallest percentage of tweets. 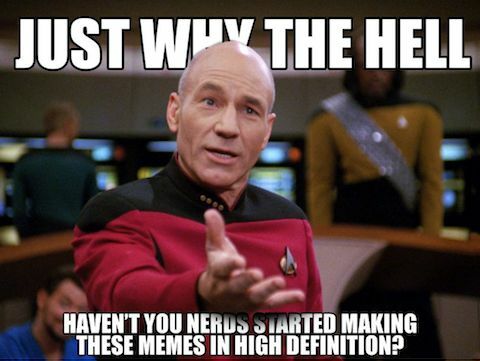 If you want to generate traffic or increase your branding, you should consider staying away from memes. As a business, it doesn’t make sense for you to focus your marketing efforts on memes because even if the meme does well, the quality of traffic it produces is so poor that you won’t see many conversions. Twitter isn’t too useful unless you are following other users. You could go the route of following everyone out there, or you could follow people who interest you. I have tried both routes, and I can tell you first-hand that following thousands of users is very difficult because you won’t be able to keep up with all the tweets. That’s why I recommend you only follow people sharing their knowledge. After you follow a few people, you’ll notice that some of those people will naturally follow you back. But if you really want to gain followers, you need to start twittering. You could tweet about your day, people you are hanging out with it, or any random thing that comes to your mind. The problem with doing this is you will gain followers who won’t care about your tweets. Instead, I recommend sharing your knowledge on Twitter. Tweets like the ones above are great because they cause other users to retweet my tweets and join in on the conversation. The best part about creating a conversation is that it allows you to get to know other users and lets them to get to know you. Not only should you be creating interesting conversations, but you should also be joining other people’s conversations. If people are talking about something you are familiar with, don’t be shy to give your input. When joining conversations, you don’t have to agree with other people. There is nothing wrong with debating others on Twitter. Controversy is a great way to gain some followers as long as you don’t abuse it by doing it only for attention. Once you have built a loyal following on Twitter, you need to start leveraging it. You can do this by tweeting about your blog, company, or anything else you are involved in. What you’ll notice is that your followers will start retweeting your tweets, which will help drive more traffic to your business and maybe even increase your sales. Tracking these three things will help you create a conversation with your current customer base and potential customers. Although this may seem like a hard thing to believe, a lot of companies use Twitter as their main source of customer acquisition. For example, if someone tweeted about a bad experience they had with your competitor, you could message them, telling them about your company. If you do all the things I talked about above, you are already building relationships with people. The one thing you are not doing, however, is you are not building relationships with the major influencers. Look for popular users on Twitter interested in the same things you are interested in, and start messaging them. Not everyone will respond, but like most things in life, it is a numbers game. There should be other members on Twitter that live near you. Search for local users, and get to know them. Many Twitter users also blog, so get to know them. This can open doors, and they might even write about your business. Marketing yourself or your business on Twitter is something that you can easily master, but it will take time. Typically, you won’t see great results from Twitter in the first few months of being on it, but after six months to a year, the results should be great. If you only have time to follow one piece of advice from this post, make sure you tweet on Saturday and Sunday at either 9am, 12pm, 3pm or 6pm as that is when you’ll end up getting a lot of engagement.